automatically encrypt all your files system until you make a ransom payments. execution of an .exe file to achieve its ends. 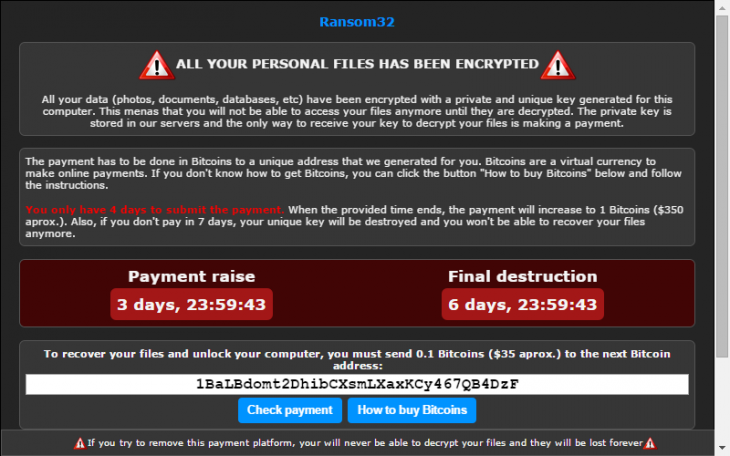 How Can I Protect my Self From Ransom 32? 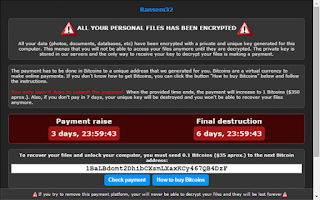 Ransom 32 malware is a kidnapper… beware! Yes bro.. I really hate all this Trojans and malware's. I really battled with my chrome browser when it got attack by a heavy virus. Lol! Thank God your PC didn't explode. prof. pls find us a way out. Both devices are so great and premium but go for Infinix Zero 3. So our new year gift from Europe is a brand new VIRUS ?! Have left the anonymous group! Malware,trojan,virus and d likes. Those developing them are keeping the competition in antivirus business up at d detriment of end users. Its not fair. Dis Oyibo pple wit d wayo sense, it has been introduce to get money frm us again abi. Anoda internet Boko boys.